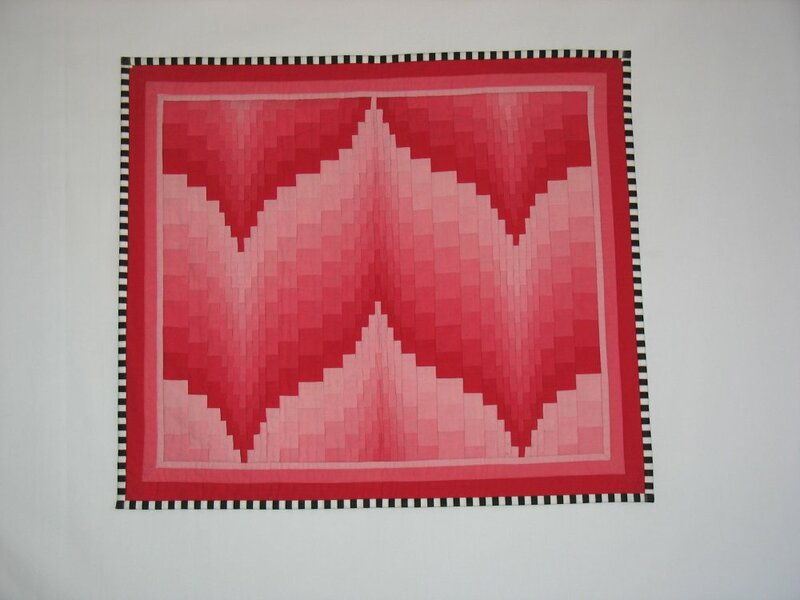 Flamingo Flambe, a 20"x18" wall hanging, will teach you the basics of foundation-pieced bargello. Working on freezer paper (not included) you will learn how to keep your design accurate and the narrow strips perfectly straight. It only looks difficult! Just be sure to cut and sew with maximum accuracy and the finished quilt will be a winner! If you can sew a straight line, you can do this! Beginner/Intermediate skill level.